Item # 306442 Stash Points: 3,495 (?) This is the number of points you get in The Zumiez Stash for purchasing this item. Stash points are redeemable for exclusive rewards only available to Zumiez Stash members. To redeem your points check out the rewards catalog on thestash.zumiez.com. Athletic with an eclectic twist, Champion presents their Streak Dye Grey & Groovy Papaya T-Shirt. 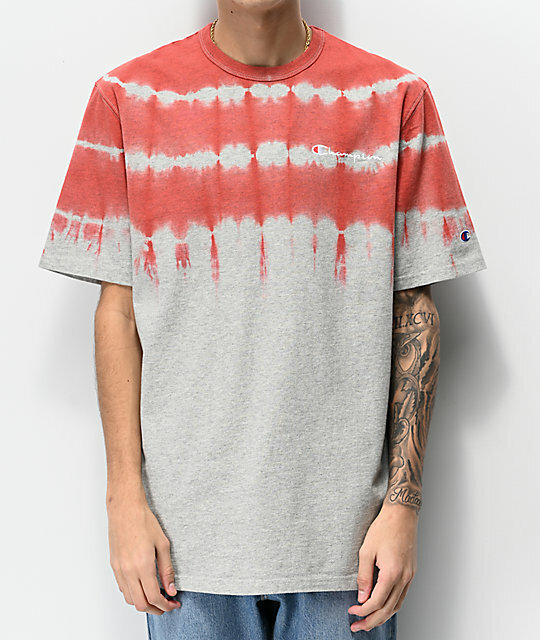 This short sleeve tee is unique due to the red tie dye design located on the upper half, while the left chest features an embroidered Champion script logo. Complete with a 100% cotton construction, this crew neck tee is perfect for day-to-day wear. 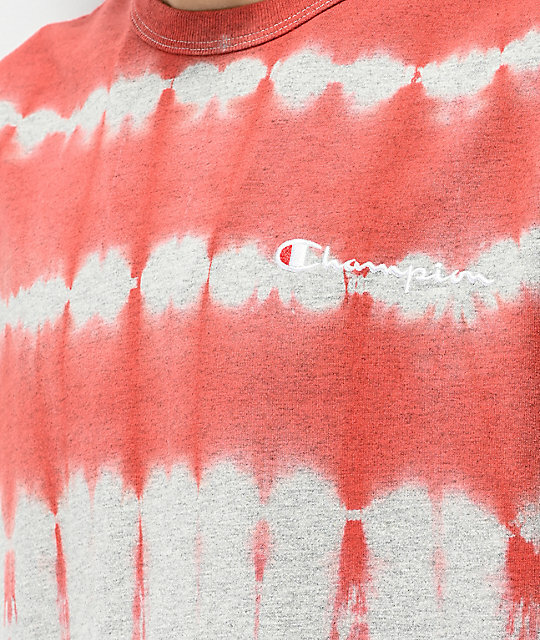 Streak Dye Grey & Groovy Papaya T-Shirt from Champion. 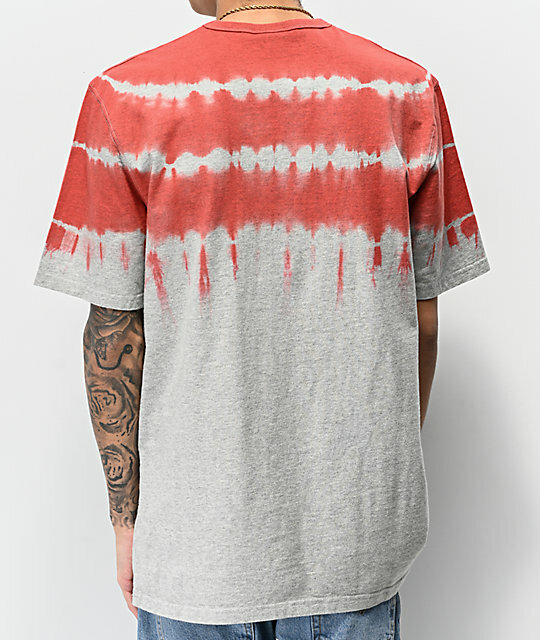 Heather grey construction with red tie dye design. Embroidered Champion logo on the left chest. Embroidered Champion "C" applique on left sleeve.